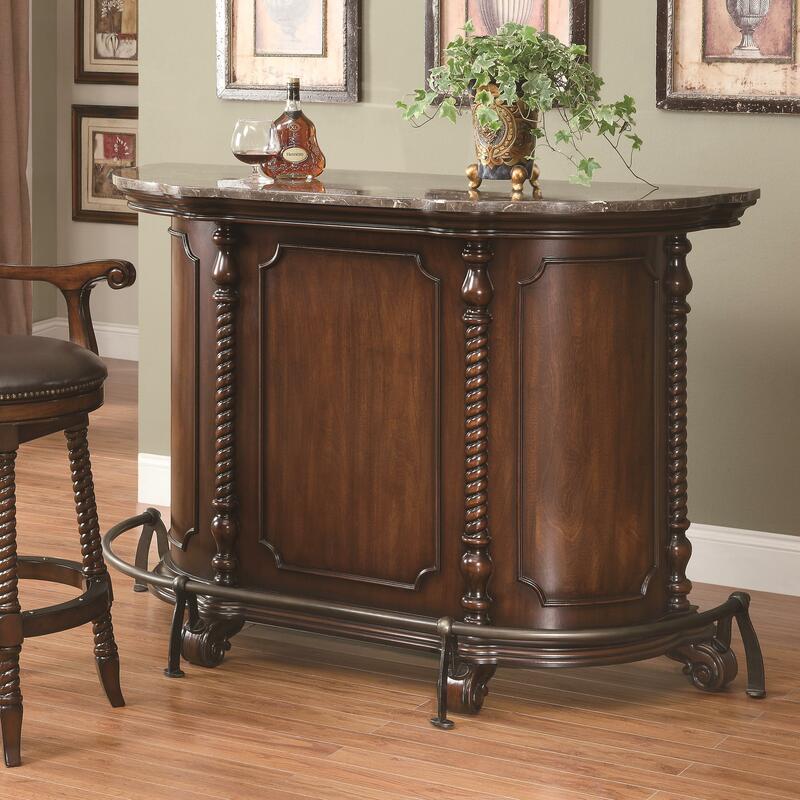 This beautiful traditional bar will be a welcome addition to your home's entertaining space. 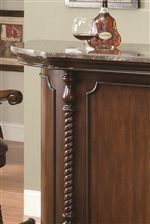 The curved bar makes a grand statement with its twist rope pilasters, scroll feet, and molding trim. The smooth marble top offers durability and classic appeal to the top of the bar. The reverse side of the bar provides plenty of storage for your supplies. Complete your bar with the coordinating bar stools. The 100670 Traditional Bar Unit with Marble Top by Coaster at Miller Home in the Punxsutawney, Dubois, West Central PA, Tricounty Area area. Product availability may vary. Contact us for the most current availability on this product. Traditional details make this marble top bar and bar stool collection a way to incorporate old-fashioned hospitality into your home. The smooth marble top bar unit will be a welcome addition to your home. Paired with the matching bar stools, you will have a grand new entertainment space. The 100670 collection is a great option if you are looking for Traditional furniture in the Punxsutawney, Dubois, West Central PA, Tricounty Area area. Browse other items in the 100670 collection from Miller Home in the Punxsutawney, Dubois, West Central PA, Tricounty Area area.